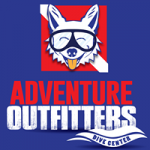 Adventure Outfitters is a PADI 5-Star Dive Center and family-run business that prides itself on quality private and small group classes with a personalized experience. We make sure each student diver receives the utmost attention. We ensure that each diver not only masters each skill but becomes a confident and informed diver. To give you the best education, Adventure Outfitters supports several certifying agencies. Due to safety, fit and comfort, every diver is required to have their own personal gear. Before you start your class, we will walk you through the different types of diving, appropriate gear and what is suitable. You will have the opportunity to try on different types of equipment to ensure a proper fit and safety. Our gear is competitively priced and hand-selected by our instructors and service technicians to get you the best equipment for the best price. For your course, you will need to have a well-fitting scuba mask, snorkel, pair of boots and fins, mask and defog to complete the course. If your gear is ill-fitting or poses a safety concern/hazard, Adventure Outfitters will assist you with finding more-suitable gear for your course. Please bring your personal gear, swim suit, towel, snack/sack lunch, water and sunscreen. We will also need all of your course paperwork and if you completed online training, please print off your certificate of completion and bring that with you. Entry fees range from $20 to $50 and boat charter fees range from $80 to $120. These are fees that are charged by the operator of the dive site and/or vessel. The dive sites that are chosen for your course, are based on availability, comfort, visibility and weather conditions. For more information on Adventure Outfitters policies and procedures including deposits, cancellations and more, visit our FAQs section! For more information on a specific class, please click on it below! Know who you are learning from. Check out the Adventure Outfitters pros here. We’re passionate about teaching! Get your first taste of scuba diving with this Great Introduction Course!! Ages 10 and up! Scuba Party! Lots of fun for 8 & 9-year-olds who get to take their first breaths underwater! Great way to explore the underwater world via kayak, shore or boat! Eco tours available! Has it been a year since your last dive? Brush up on your skills with this course. Congratulations on your first Giant Stride into the underwater world! Another Giant Stride into the aquatic realm! 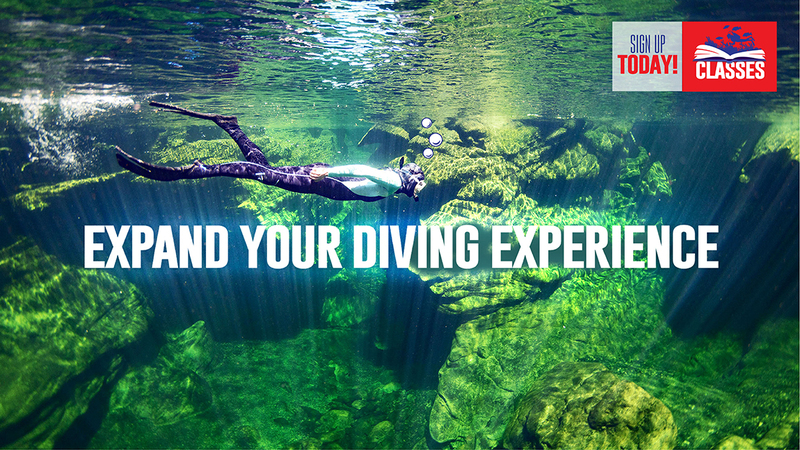 Execute five Specialty Dives for your certification! Expand your dive experience and knowledge through different specialty courses based on location, equipment and more! The most Popular Specialty course! Get more bottom time through higher oxygen concentrations. As a lay rescuer, become more confident when faced with a medical emergency, should one arise. Learn to prevent and/or manage certain emergency situations both in and out of the water. Expand your knowledge and dive leadership skills in the first professional diver qualification through PADI. Experience the beauty underwater with no tank and no bubbles! Safety is our primary initiative! Explore sunken vessels, aircrafts, and other amazing wrecks in this specialty course! Get all the tools to safely explore amazing and beautiful underwater cavern environments. Whether is preparing you for deep wrecks or caves, take your next step into the Technical world of diving!